Dan there is not an additional body number as there was on the earlier 1909-early 1920 cars. There should be an number on the USA driver's side of the engine above the water inlet. Normally there will not be any other numbers on a 1925 Ton Truck. 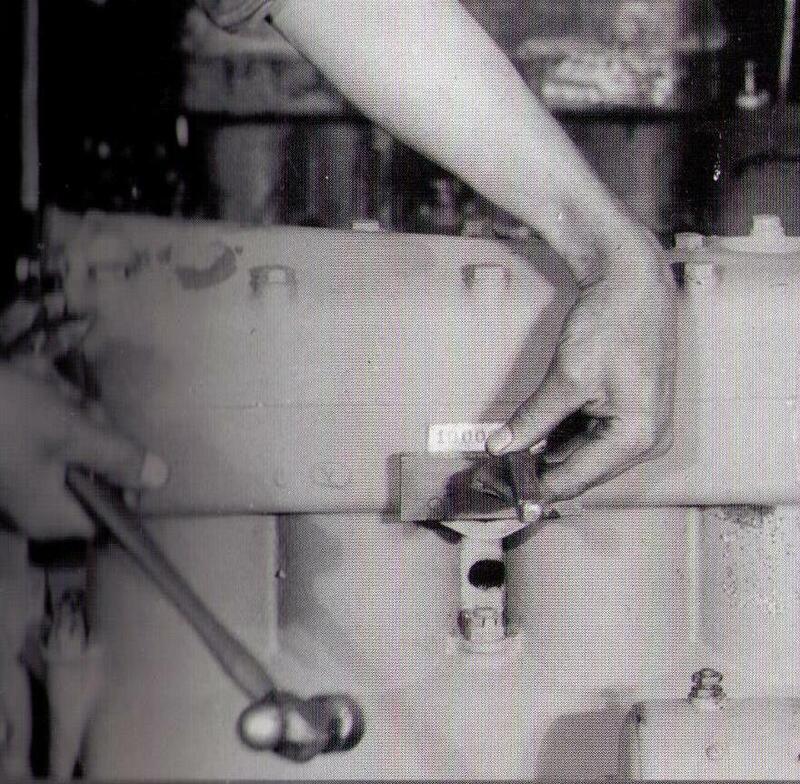 If it is really a 1926 or 27 (they look very similar) it will have the same engine number on the top of the frame rail. Just lift up the floor boards and look at the frame rail on both sides above where the emergency brake shaft is bolted to the frame. Also is this your first T? 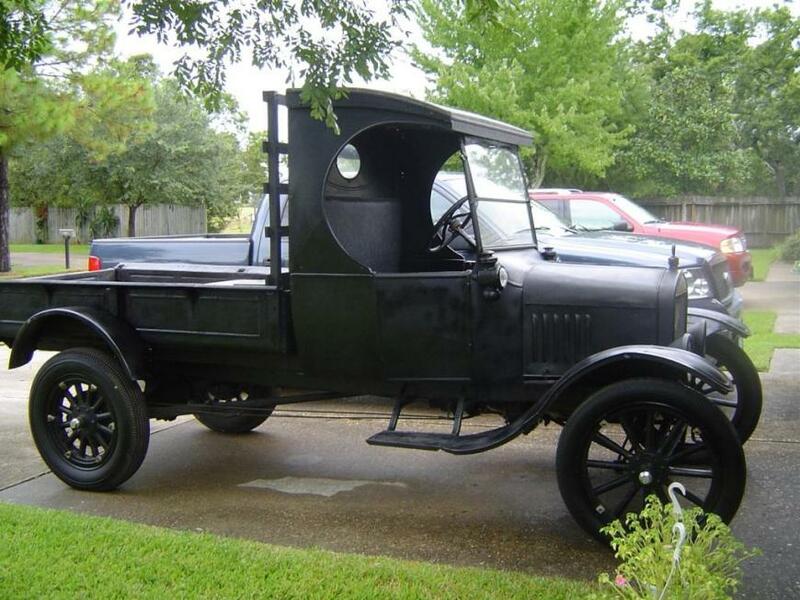 You posted at: http://www.mtfca.com/discus/messages/411944/501524.html?1418569721#POST688296 that you wanted information on a 1926 Model T Chain Drive Truck. And in this posting you asked for information about a 1925 TT which we would normally call a Ton Truck chassis that was supplied by Ford and that did NOT have a chain drive. This is your second posting so welcome to the forum. And from the two posting you�ve made I would guess and it is only a guess, you are new to Model T Fords. If that is not the case feel free to skip all of the rest of this posting because that is what it is geared for. Or do you have a Ford Ton Truck chassis? 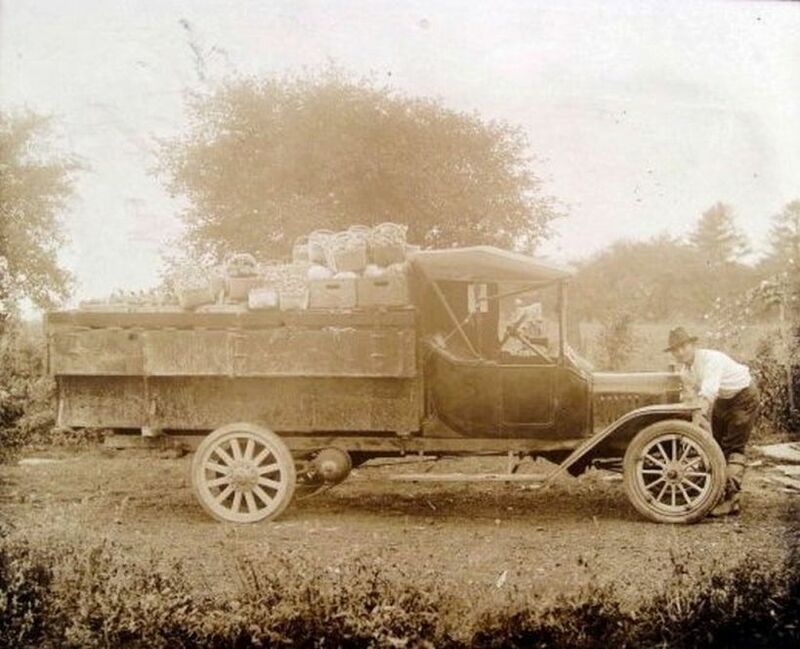 Tony Marino�s 1924 C cab is shown below but they also had a closed cab and an owner could purchase just the chassis and put any cab on it they wanted. Notice also that the running board doesn�t stick out much past the rear running board brace. In about mid 1925 they went to a slightly longer running board that extended beyond the running board brace. That longer running board was continued through to the end of 1927 Ton Truck production. If you could post some photos that would help. If you can�t � if you can e-mail them to me, I will try to post them for you. You can click on my name at the beginning of this posting and it will call up my profile. My e-mail address is the third line down. And below shows where the number is stamped onto the block. Note it is the 10,000,000 block so it was painted special. The block behind it shows the more normal thin with runs coating.